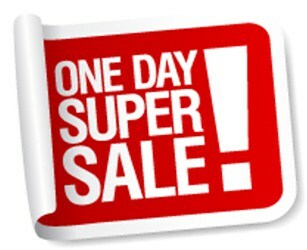 Save 25 – 40% at Budget Forex Shop‘s One Day Day Sale! Stock up on all your favorite Forex products today! 25% discount on all BUDGET category products. 20% discount if you buy 2 PREMIUM category products. 30% discount if you buy 3 PREMIUM category products. 40% discount if you buy 4 PREMIUM category products. No code needed, just add the products to your cart and the discount will be applied automatically.